KL Festival gave out vouchers during my birthday month and I have RM 10 vouchers in hand to use it at Papa John's expired in 31 Dec 2014. 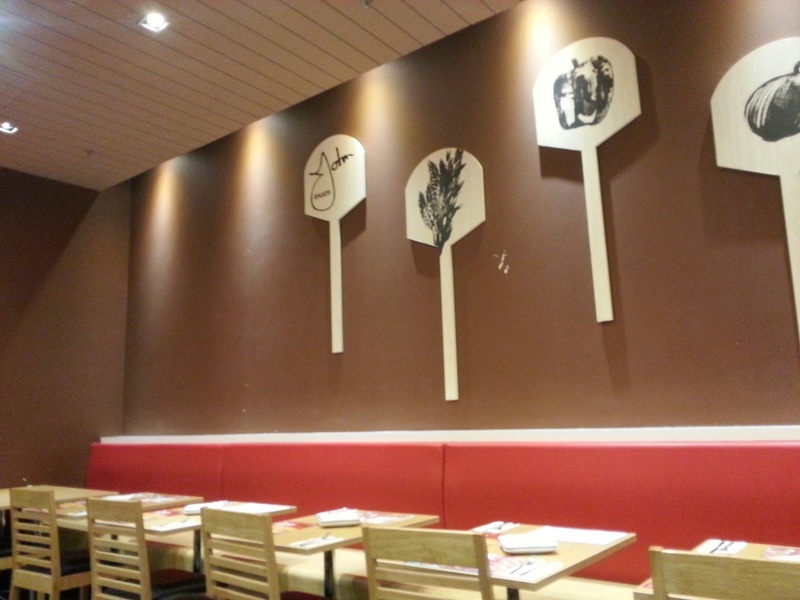 The staff do mentioned we can use the vouchers for all set meal and ala carte. But little did I know that they have promotion on every Tuesday where they offer Buy One Free One Pizza when you ordered ala carte 9 Inch Pizza. The staff did not tell us on this and I just select the set meal for two pax. 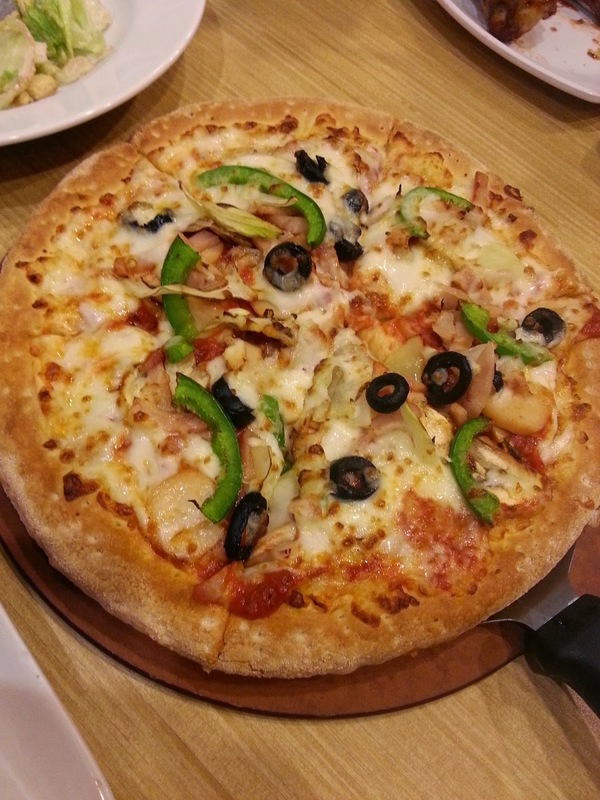 The price is quite expensive compare to others Pizza Chain . Set meal A for two pax is inclusive of 2 drinks, cheesy potato wedges, Caesar salad and 9 inch original crust pizza ( Medium sizes with 6 pieces). The price is RM 35.90. Disappointed with the whole set meal presentation and the taste of the food! Look at the salad platter. 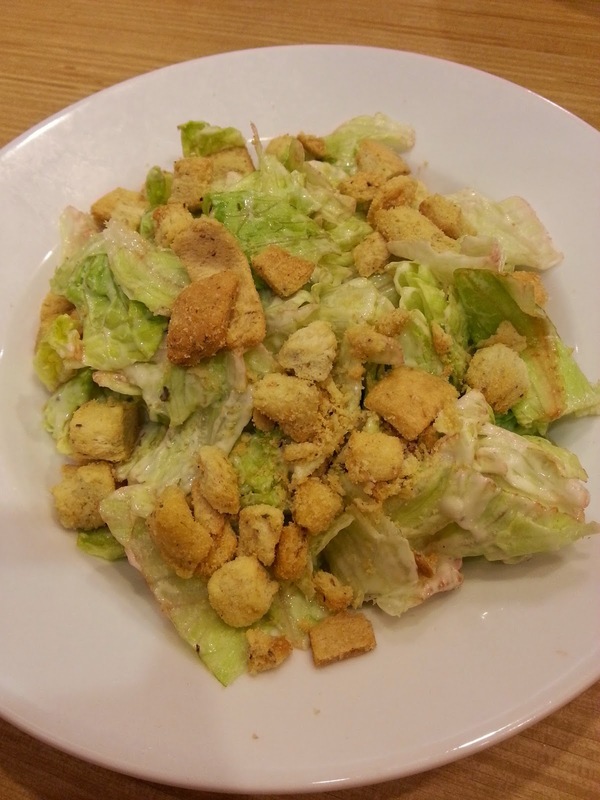 Old Romaine Lettuce with Croutons and cheese. The taste is awful and not appetizing! 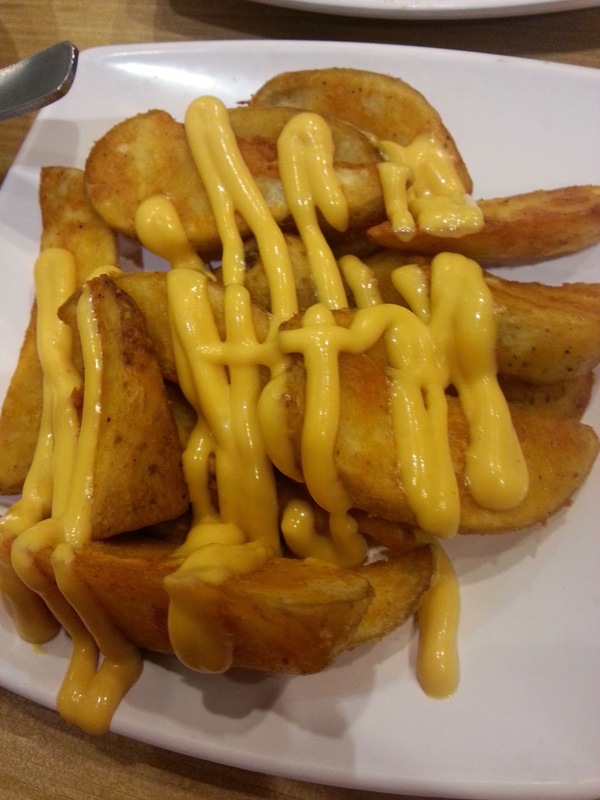 The cheesy wedges texture is hard, dry and not fully cooked. KFC Cheesy Potato wedges is more delicious. Upset! 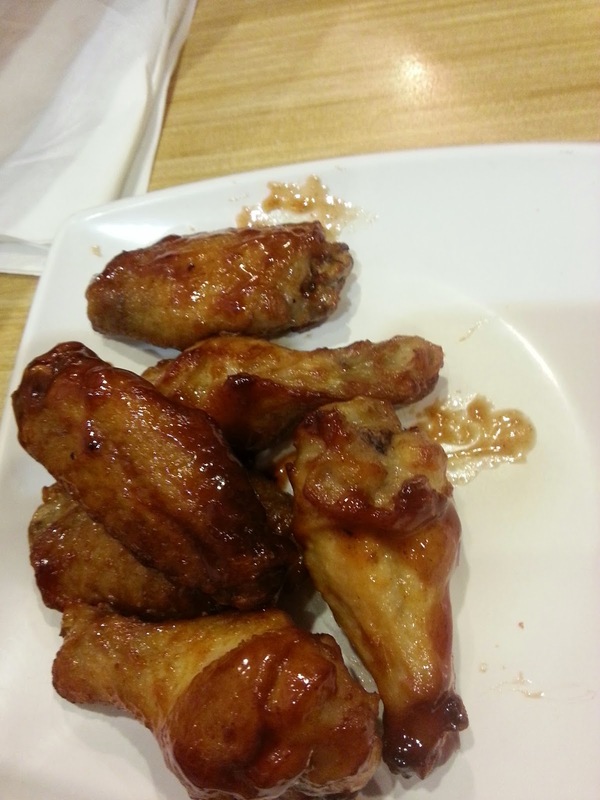 Sweet Honey Chipotle Wings - Add this item at RM 9 with the set meal ordered. The chicken wing comes with 6 pieces all together. Finger - Licking good ?? I don't think so. The taste is bland and I wonder where is the smokey glaze as stated in their menu description?? We try this Chicken Super Papa's, Combination of chicken meat, sausages, chicken rolls, mushrooms, onions, black olives, green pepper and cheese. Flavourful, but lacking of cheese and the ingredients is very limited. I can taste only half of the chicken roll, sausages and obviously the pizza is more or less plain. The dough is soft but not crust crunch. 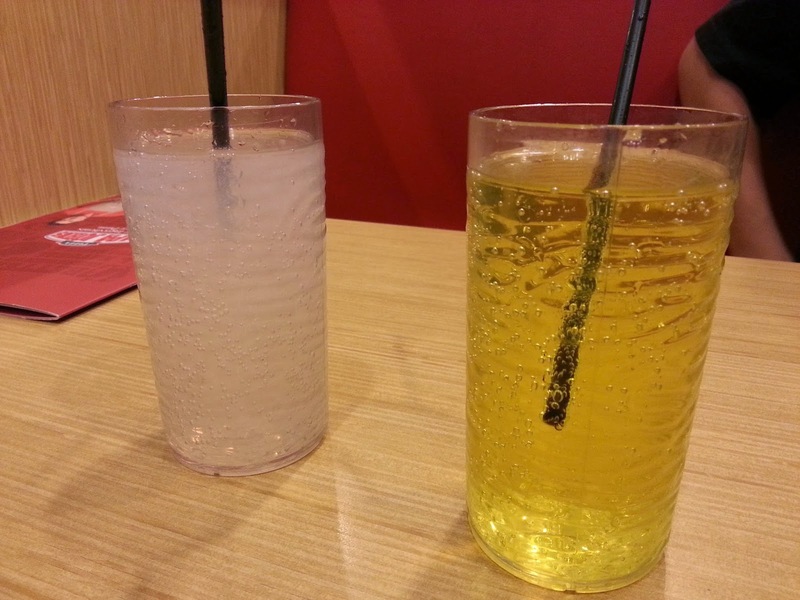 The total damage is RM 50.40. Deduct my two voucher of RM 10 each, I still need to pay another RM 30++. This will be the first and last visit to Papa John's! 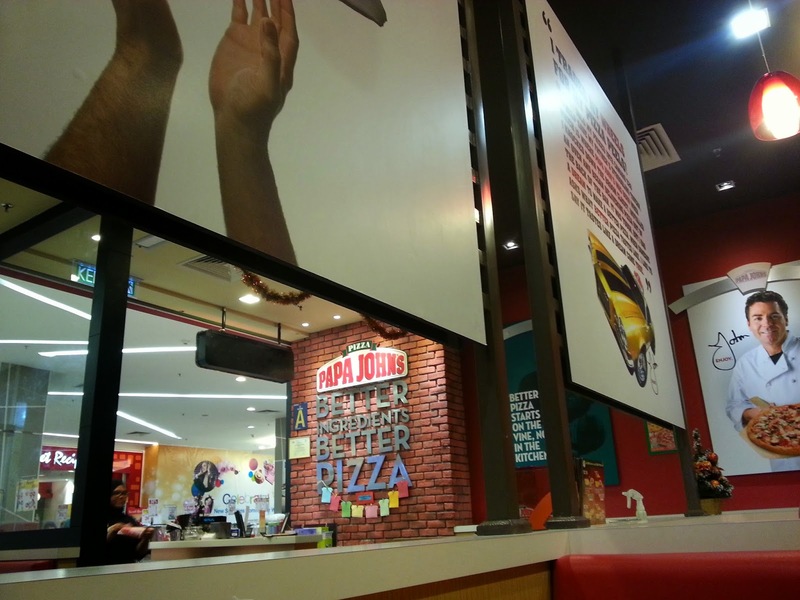 I doubted their tagline "Better Ingredients-Better Pizza". Business Hours : 10am to 10 pm.